It’s a big, gray metal box. Sometimes it can be loud. We get it. Your air conditioner isn’t the most appealing item decorating your yard, but it is important. You want to hide it, but you’re worried you might do it a disservice. 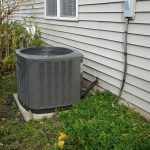 So what’s the best way to landscape around your air conditioning unit? Why Landscape Around the Unit? Adding some landscaping around your unit softens the utilitarian look of the unit. Also, adding some shrubs can actually help the efficiency of your air conditioner because the shade will cool the unit, keeping the temperature down so it doesn’t have to work as hard to cool your home. When you start to plan your landscaping design, it’s important to remember you shouldn’t plant greenery close to the unit. Plants need to be at least 2-3 feet from the unit, around all sides. You need to allow this room so your Weather Master technician can access the unit for maintenance and repairs without damaging your plants. Trees and other greenery that grow above the unit need to be kept trimmed with at least a 5-foot clearance for easy access. Many homeowners utilize mulch to improve the aesthetic appearance of the air conditioning units aside their homes. While more visually appealing, mulch also acts as a sponge, holding moisture on the units. Consider raising your air conditioning units above the mulch by four inches by utilizing “Weather Legs.” This slight elevation serves not only to lift the metal cased units off the wet mulch, but also enables a weed eater be used to trim that pesky grass that always grows right onto the unit without harm of inadvertently damaging the outdoor coil or exposed wiring. 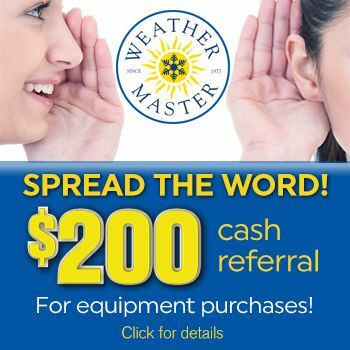 Speak to the experts at Weather Master for more information. So What Should I Plant? The easiest answer is to plant hedges and shrubs around your unit—something that doesn’t shed its leaves during the colder months (the leaves can cover the unit and restrict airflow if you aren’t diligent about cleaning up around it). You can also use lattice to build a screen around the unit, allowing vines to climb up and grow to create a natural screen. You can learn more about what type of landscaping works best for the Triangle area with our blog on naturally cooling your home. If you have any questions about how to best landscape around your air conditioner unit, contact the experts at Weather Master today.